Wrapping up Bankruptcy FAQs, below are some more answers to commonly asked questions that pop up when people are thinking about filing for bankruptcy. For more specific information pertaining to your case, don’t hesitate to contact Denver Bankruptcy Lawyer Arthur Lindquist-Kleissler. While these bankruptcy FAQs can be insightful, contact Denver Bankruptcy Lawyer Arthur Lindquist-Kleissler for specific advice about your case. 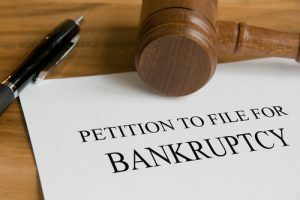 Q – If I have filed for bankruptcy in the past, can I file again? Whether you paid your debts in full in the prior case (when the prior case is a Chapter 13 case). At least 2 years from the date of their prior filing before filing for Chapter 13 again (if their prior case was a Chapter 13 case). When filing for a different type of bankruptcy (e.g., filing for Chapter 13 after a previous Chapter 7 case, filing for Chapter 7 after a previous Chapter 13, etc. ), the stipulations for when you can legally file again will vary; in such complicated cases, it’s best to work with an experienced attorney like Arthur Lindquist-Kleissler. Q – Will my credit be ruined forever if I file for bankruptcy? A – No. While filing for bankruptcy can have some impacts on your credit, the good news is that these impacts will go away within 7 to 10 years of filing for bankruptcy. In other words, within 7 to 10 years of having filed for bankruptcy, there will no longer be a record of this proceeding on a person’s credit report (in general). Q – How can I repair my credit after bankruptcy? Living on a budget to avoid spending more than you can afford to. Are buried in overwhelming debt and ready to learn more about your debt relief options? If so, Denver Bankruptcy Lawyer Arthur Lindquist-Kleissler is ready to meet with you to help you figure out your best options for resolving your financial issues. For more than three decades, Mr. Lindquist-Kleissler and the other legal professionals at Lindquist-Kleissler & Company, LLC have been providing both individuals and businesses with the highest quality of legal services when it comes to debt relief and bankruptcy. From simple to complex bankruptcy cases, Mr. Lindquist-Kleissler can always be trusted to maximize utilization of Colorado Bankruptcy Law to help each of his clients resolve their case as efficiently and favorably as possible. For a free 30-minute consult, contact us by calling (303) 691-9774, or email us using the form on this page. You will pay nothing up front to obtain trusted, professional advice regarding your case and your options.